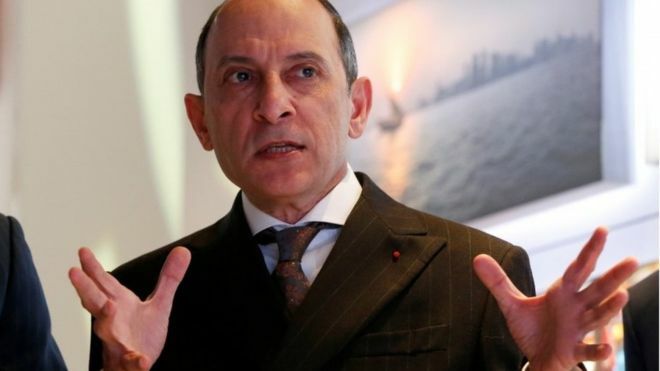 The boss of Qatar Airways has issued "heartfelt apologies for any offence caused" for saying that a woman could not do his job. Akbar al-Baker said on Tuesday that the airline had to be led by a man "because it is a very challenging position". He later defended Qatar Airways' record on gender diversity, but that failed to quell growing criticism. He said his comments on Tuesday were "sensationalised by the media... Qatar Airways is made stronger by its female employees for whom I hold nothing but the highest regard." The original remarks were made at the annual conference in Sydney of the aviation industry's trade body, the International Air Transport Association (IATA), only six of whose 280 airline members have female chief executives. Gender imbalance in the industry was a big theme of the conference, where Mr al-Baker officially took over as IATA's chairman. Asked at a news conference on Tuesday about female employment among Middle East airlines and whether his job could be done by a woman, Mr al Baker said: "Of course it has to be led by a man, because it is a very challenging position".